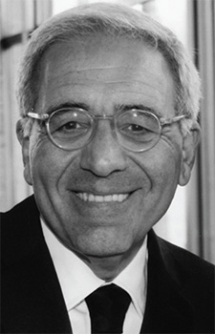 Having served as executive director of the 92nd Street Y, the president of the AT&T Foundation as well as senior officer of that firm, and the president of the International Rescue Committee, Reynold Levy just completed a successful 13-year tenure as the president of Lincoln Center. In addition his fourth book, They Told Me Not To Take That Job: Tumult, Betrayal, Heroics and the Transformation of Lincoln Center was published in May 2015. Reynold is now a special advisor to General Atlantic, an adjunct professor at Columbia University, a director at First Republic Bank and a consultant to numerous foundations and nonprofit institutions. Monday • September 28, 2015 • 5:30 p.m.